Following on from a summer where Stoke City back-up goalkeeper Lee Grant signed for Manchester United, Barcelona seemingly bought Brazilian winger Malcolm to spite Roma, and thirty-nine-year-old Robert Green joined Chelsea, there's been even more shocks in the January transfer window that opened four months later. There was a time where football fans across the country would stay up and watch the transfer window as it closed, keeping their fingers crossed and everything peeled that a deal for their own club would come into fruition in those crucial dying seconds. We've seen less of that over recent seasons, with a lot of clubs opting to wisely conduct their transfer dealings before the window began to close, but with football transfers as unpredictable as these, it's hoped that we could see more shocks on the cards before the window shuts for another few months on Thursday evening. We've compiled our favourite football shocks from the current transfer window, including moves for players that are far below the standard of the team they're joining, moves for players who are underachieving in choosing to leave their current club, and any other deals that have come as a surprise to football fans over the last few weeks. Once perceived as a favourable underdog at Liverpool, we didn't expect to see Ryan Babel back in the Premier League, but he's caught us all by surprise in joining Fulham. Claudio Ranieri's side need a hero right now and it couldn't make for a better story to see the Dutchman attempting to be the man they need to save the day. He departed to Hoffenheim in 2011 before enduring further stints in Holland, the United Arab Emirates, Spain, and two attempts at the Turkish Super Lig. It's hoped that he could be the catalyst for success at Craven Cottage, but it's certainly an interesting person to target as their saviour. Leaving Liverpool in 2011, Babel had spells in Germany, Holland, the United Arab Emirates, Spain, and Turkey, before returning to England with Fulham. The story of Kevin Prince Boateng is truly one for the ages, starting out at Hertha Berlin through his German-Ghanaian heritage, joining Tottenham Hotspur, spending a season out on-loan at Borussia Dortmund back in the Bundesliga, showing some promise at Portsmouth, before presenting his best performances over three years at AC Milan. As the Italian club began to decline, as did his quality, leaving him moving from club to club and country to country, jumping between AC Milan, Schalke, AC Milan again, Las Palmas, Eintracht Frankfurt, Sassuolo, and now Barcelona. He was once given a nickname at AC Milan that roughly translates as 'the train without brakes'. That doesn't fill anyone with confidence but his journeyman image has been enough to seal a move to Barcelona, where he will go down in history as one of the most bizarre transfers of all time. Italian journalists have indicated that the move is more likely to be down to his leadership, temperament and experience, but whether he has much of an impact on the pitch is another thing. Hitting his peak at twenty-four, Kevin Prince Boateng has failed to reach similar heights ever since, making the move to Barcelona all the more bewildering. Ever since Marcelo Bielsa took over at Leeds United last summer, there was a lot of talk of the Argentine bringing in big players based on his reputation as one of the world's best football managers. This hasn't been proven too much up to this point, but with a goalkeeper being seriously in-demand from a lot of Leeds United fans, the club made strides to bring in Real Madrid goalkeeper Kiko Casilla. It would have been frustrating enough for Kiko Casilla to not start games with Keylor Navas ahead of him in the rankings but the arrival of Thibaut Courtois in the summer only put him further down the pecking order, not helped by Luca Zidane - son of Zinedine Zidane - also steadily looking capable to make appearances at the Bernabeu. Leeds fans need to remember that they aren't signing Iker Casillas - only a Real Madrid 'keeper with a similar name - but it's still an incredible transfer for a side of their current standing. After falling down the pecking order at the Bernabeu, Kiko Casilla took a massive risk in joining Leeds United. Confirmed just four days into the January transfer window, Liverpool fans were left confused and disappointed by Nathaniel Clyne's move to Bournemouth. The squad depth at Jurgen Klopp's Liverpool is far stronger than it has been for some time but it's not yet at a stage where they can remove players without needing an immediate replacement. With this in mind, allowing Clyne to join Bournemouth has made Trent Alexander-Arnold's role as first-choice Liverpool right-back all the more crucial. Rumours that James Milner, Fabinho, and arguably even Jordan Henderson would be capable in the right-back position posed an alternative for Trent Alexander-Arnold in the event of an injury, but their resolve was truly tested when he was confirmed as being out for a month eleven days after Klopp allowed Clyne to leave on loan. It appears to be a comedy of errors, only improved upon by Bournemouth's bizarre decision to sign Dominic Solanke for a far larger fee than anyone expected. It's assumed frustrations behind the scenes forced Clyne's hand in moving away from Anfield, but he could end up being needed more than ever back in Merseyside. If you've seen Netflix's Sunderland 'Till I Die documentary which followed the side as they fell to the depths of League One, you'll see glimpses of the impact Josh Maja was about to have in the football league. The twenty-year-old became a regular since their relegation to League One, scoring fifteen goals up until his final appearance on the 19th January. Fans of The Black Cats were excited to see this young forward blossom in future years, bringing more goals to contribute towards Sunderland's push for promotion. Instead, Josh Maja shocked the North East in making a move to Bordeaux, which has seen him elevate himself by several leagues and move across the English Channel to South West France. The only issue will arise if the move came too soon or if Bordeaux want to see top performances immediately, but neutral fans will be hoping that Josh Maja can match his ambition with the same sort of prolific record in French Ligue 1 that he was presenting in English League One. Josh Maja stepped up two tiers to join French Ligue 1, so it's hoped he wasn't hasty in leaving Sunderland. Upon completing his eleventh term at Chelsea, John Obi Mikel looked for a challenge elsewhere, taking up the chance to play in the Chinese Super League. Although past transfers to China have proven it to be far from a challenge in itself, it lasted far longer than many expected, taking until now to see the Nigerian midfielder return to England. If you were unaware of the transfer until now, you'll be thinking 'surely he ended up at a mid-table Premier League side - a lower positioned Premier League side at the very minimum!" This would make far more sense than the reality, as he signed for Championship side Middlesbrough. The concept of John Obi Mikel looking to work under Tony Pulis a few seasons ago sounds utterly ridiculous but it's the truth of the matter this season. If it wasn't already strange enough to see the former Chelsea number 12 at the Riverside Stadium, he's also opted to don the number 2 shirt, leading to a lot of jokes over how he could be playing at right-back in Pulis' system. Suggesting this concept is clearly a joke, but based on the other details of this transfer, it's unlikely that it would come as a total surprise if it were true. Football fans expected John Obi Mikel to return to England, but not to the Championship. Exchanging one Italian for another saw Maurizio Sarri replace Antonio Conte at Chelsea in the summer. Fans of the club were expecting to see more attacking football as opposed to the defensive focus from Antonio Conte, but there's not been much change from Sarri since arriving from Napoli. His team selection is still steadily taking shape, with lots of fringe players on the outer circle of his current starting eleven, but it was still a surprise to see Victor Moses leaving in January. After joining from Wigan Athletic in 2012, it was hard for Victor Moses to establish a place in the Chelsea team. Loans to Liverpool, Stoke City and West Ham United only backed-up claims that it was a poor decision to sign the Nigerian winger, but Antonio Conte saved his Chelsea career in playing him as a full-back. Despite putting so much effort into staying at Stamford Bridge, this window was too much, resulting in him departing to Fenerbahce. Victor Moses' decision to move to the Turkish Super Lig came as a shock, even after he only played seventy-five minutes for Chelsea this season. Surely among the most bizarre transfers this January, winger Bakary Sako has puzzled football fans with the decisions over his future. Top performances in over 100 appearances for Wolves triggered a move to Crystal Palace, where he rarely played and spent almost the entirety of his three years at Selhurst Park watching on from the bench. Roy Hodgson decided to release Bakary Sako, leaving relegated West Bromwich Albion to acquire his services on a deal until the end of the season. Playing just five times for The Baggies gave Bakary Sako another period with very few opportunities, where he went on to re-sign for Crystal Palace in January. The deal only lasts until the end of the season but he clearly saw a chance to play semi-regular football, despite not coming anywhere close in the three years he previously spent at Crystal Palace. 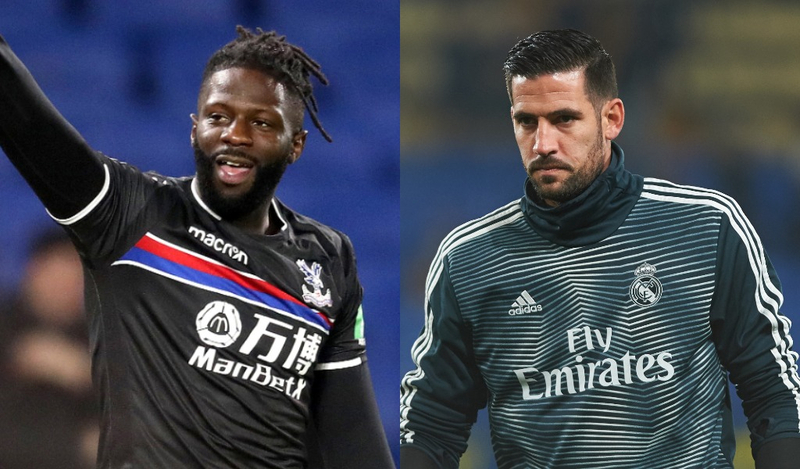 Some pundits have assessed that the return is down to Crystal Palace's future fixtures in the FA Cup, which only came after they defeated Tottenham Hotspur last weekend, but it's still hard to envisage how Bakary Sako could imagine playing much for The Eagles in the future. Forty-three appearances in three years at Crystal Palace showed how unimportant Bakary Sako was to the London-based side, but he's come back for more after five games away. Picture this - you're a Liverpool representative who's just agreed a deal with Bournemouth for the loan signing of Nathaniel Clyne until the end of the season. With the deal completed, you're asked if you'd take £19 million for twenty-one-year-old striker Dominic Solanke, who's been effectively playing the role of fourth choice striker. It's hard to believe that anyone wouldn't snap Eddie Howe's hand off for such an offer. It seemed to be that this was the dilemma Liverpool were faced with towards the start of January, where they were pitted with a simple decision. Dominic Solanke, who was only purchased by Liverpool through a tribunal, ended up playing a part in one of their best bits of business. Liverpool have already capitalised on Bournemouth's - or possible Eddie Howe's - poor negotiating, selling Jordon Ibe and Brad Smith in past years, where they overpaid in both deals. Based on Solanke's age, it could end up that he doesn't even play for some time, but through the setup at Liverpool, he would have waited longer in Merseyside, so he is set to benefit almost as much as Liverpool have. A loan move would have suited Dom Solanke better. However, the £19 million offer was something Liverpool simply couldn't refuse.